This time of year, it begins to feel like winter is never going to end. I am sick of the cold weather and it can be challenging to stay upbeat and positive. Below, I have selected some titles which will hopefully help to brighten up your day. Each book is filled with fun and colourful projects that will inspire you to get creative. Cheer up and add some colour to your life! 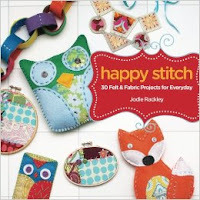 Happy Stitch by Jodie Rackley offers 30 different felt and fabric projects to inspire some fun and creative indoor crafting. My favourite project ideas include adorable eReader and laptop cozies, embroidered tote bags, fabric lampshades and reusable felt decorative chains. The book includes templates for all of the projects, advice on supplies, and instructions for all of the techniques and embroidery stitches you will need to know for each of the projects. 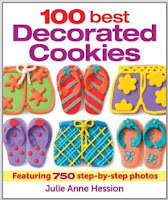 100 Best Decorated Cookies: featuring 750 step-by-step photos, written by Julie Anne Hession, is filled with fun, colourful ideas for decorating cookies. What makes this book special is Hession does a fantastic job outlining tools, techniques, icing ingredients, and cookie recipe options. The author has included everything you need to make impressive looking cookies. There are also endless decorating ideas for every season and occasion. 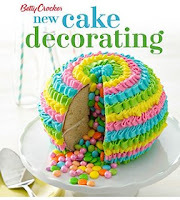 While we are talking about delicious, sugary treats, why not also try Betty Crocker New Cake Decorating? The book includes tips for tinting your own frosting for both cakes and cupcakes. Some of my favourite ideas include the Rainbow Petal Sheet Cake, Watercolour Ombre Cake, Watermelon Cake, and the Piñata Pound Cake featured on the cover. 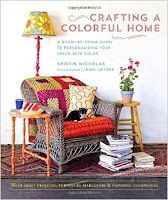 Crafting a Colorful Home: a room-by-room guide to personalizing your space with color, by Kristin Nicholas, is filled with photographs to inspire you, as well as specific projects that will help you infuse more colour into your home. Perfect for a snow day, projects include hanging embroidery hoop lanterns, a painted coffee table, and stamped tablecloths. For those feeling more adventurous, there is even a section on painting your own mural.